I’m pleased to be part of a blog-hop centring on four questions that reveal part of my writing life. Thanks to Toni V Sweeney for the plaudits and hand-on. d) find the notes I scribbled while writing Book 2. What is happening around you while you write? What should be happening is peace and tranquillity. I am both lucky enough not have to go out to earn a living and I have office space with a door that can be shut on the household, but it rarely works that way. I’m either on call too much or too easily distracted. Which comes first plot strand, character, or.....? ...problem, solution..? Initially it’s a gaseous mass of all these. If/when two ignite they either illuminate another element or burn it to cinders. This is where the gentle brainstorming comes in; it’s akin to poking at a smouldering fire. Once the elements begin to take on a smoky form, it is then that the characters take precedence. Each book of the trilogy has three intertwining storylines – one historical, two contemporary – and once the main characters in each are identified I will write their mission statements, their back-stories, and start a timeline of how they view the unfolding novel. It's my way of gaining a handle on them as true people. There’s a lot of non-fiction reading involved, both book and internet, which goes on at the same time as the gaseous mass is coagulating. This shows up both probable dead-ends and possible incendiary material useful to the novel. Characters’ mission statements, back-stories, and viewpoints start to turn into the novel’s Bible – an ever-growing Word document navigated by internal hyperlinks. In the Bible is listed every character and their mores, and links to all internet research, as well as the main outline of the novel, which eventually takes on the form of a working synopsis. 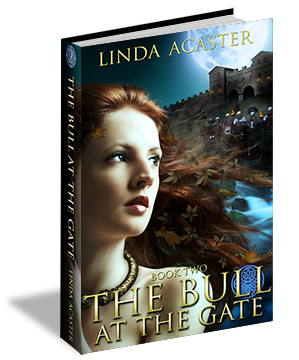 Somewhere along the line I will have made a start on the novel itself, as it is in the writing that the beast comes truly to life. Thanks for taking the time to read my Writer’s Reveal. If you have any comments or questions go ahead and ask them below. Or if you've enjoyed the post, please give it a Tweet below; it would be most appreciated. If you’d like to read the openings of any of my books, click the covers in the columns to be taken to its relevant Amazon page and use the Look Inside facility. 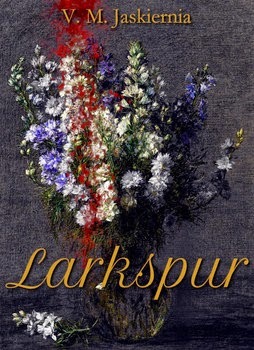 Stuart Aken is a pantster, writing books that blur the boundaries between genres. For him, story chooses genre and characters drive plot. He’s written thriller, romance, erotica, scifi, horror and, in his most recent release, epic fantasy of a type that appeals to both genders and all readers over 15. 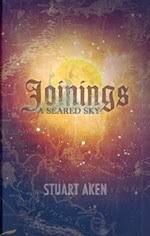 Joinings; A Seared Sky, was released in print and digital formats by Fantastic Books Publishing on 30 March. V.M. Jaskiernia writes dark fantasy romance in her world of Noctuina. She is influenced by mythology, fairy tales, modern fantasy, horror, and history. Her first series, 'The Courting of Life of Death' (Clandestina), follows the duc of Piques, Pierre Salvador, as he consorts with the Lady of Death while also courting the Lady Elizabeth Anne.